I quite remember that I didn't smile a lot in school because my teeth were in poor state that as soon as I had my budget, I met an orthodontist and had my teeth cleaned, filled - up and braced. The regular visit to the dentist cost me a fortune but I quite believe that oral health means better health. VISIT THE DENTIST REGULARLY AT LEAST EVERY 6 MONTHS. 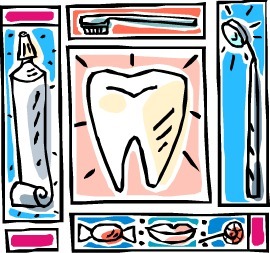 When one has good oral habits, other health problems like heart disease can be remedied. Thus, we have to pay attention to our oral hygiene because it may mean lowering our health risks to major health disorders.